Ah Mary Street, we seem to visiting your cafe rather a lot of late, to be fair though, photos have been plastered all over social media of the two dishes we went in to try… Again. Theres so many great dining locations in Mount Lawley and the fact that we continue to return to this one says a lot for serial foodies with a mile long to-visit list. Our coffees were perfect as always, both our first and second. 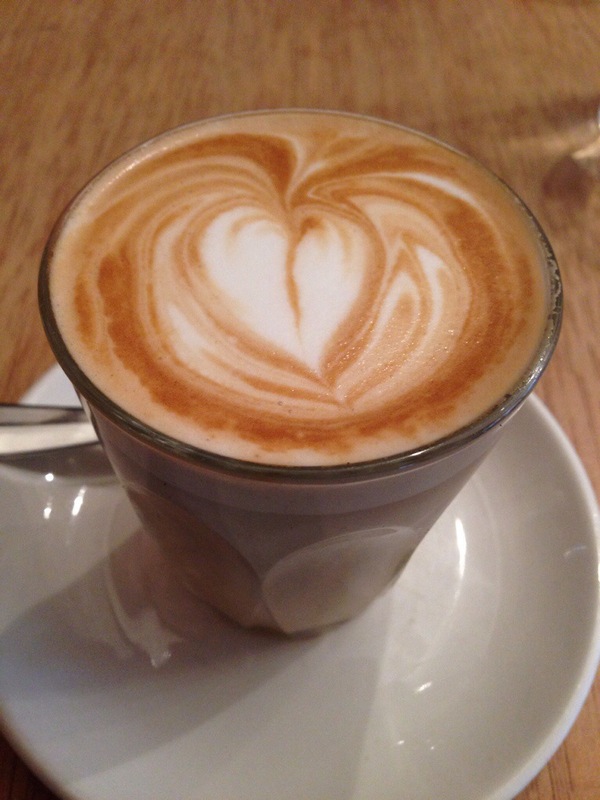 Mary Street Bakery do Pound coffee proud with smooth and creamy blends which really bring out the flavour. Two thumbs up from us! 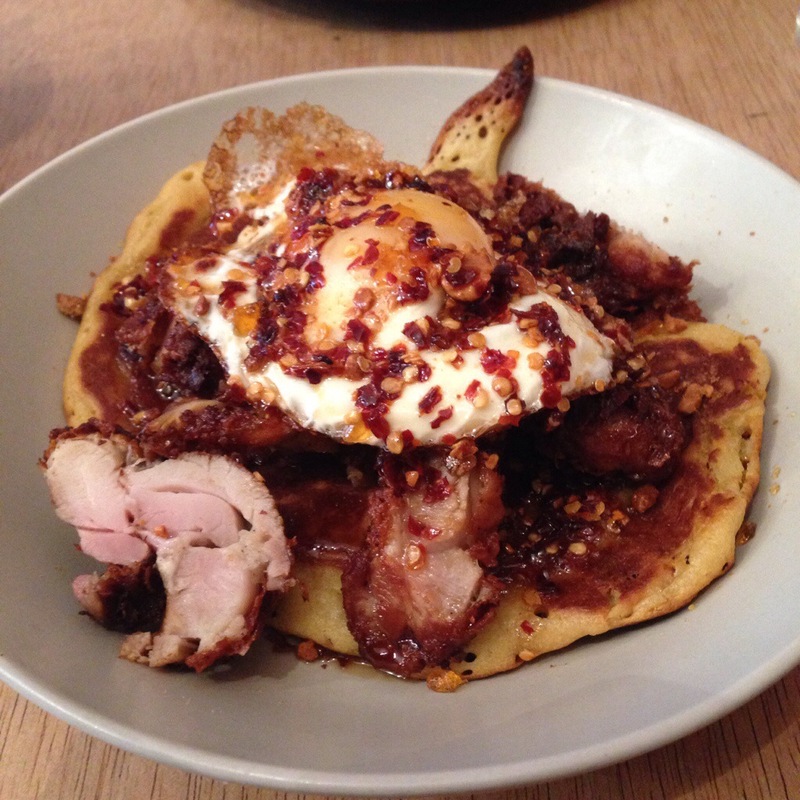 The first of the much spoken about meals was the chicken buttermilk pancakes with egg, maple and chilli. This was one of those dishes that just works, and each bite is thrilling, not least because there’s a bit of a chilli hit. The chilli was definitely biting, but the sweetness of the pancake, chicken and maple balanced it out, and together, wow! This was a very filling dish and we didn’t manage to finish it all between the two of us. 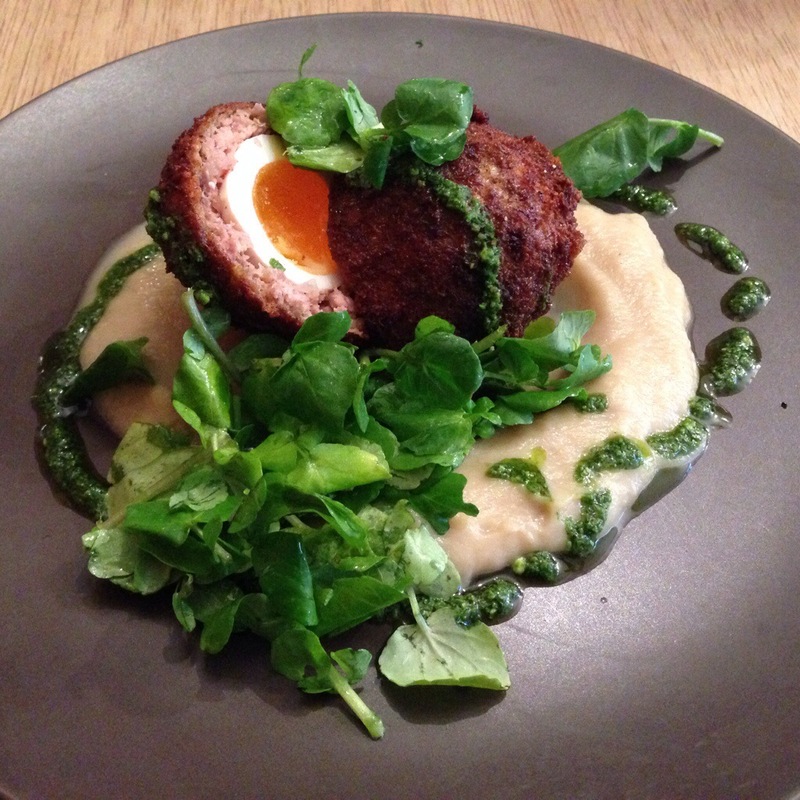 Next up a first for us, scotch egg! This seems have been in vogue since appearing on Masterchef, as made by the ridiculously attractive and talented Sarah (some people have all the luck!). The scotch egg was lovely, the pork on the outside was cooked nicely with a crispy crust, and the yolk was gooey, though could have been a little softer. The onion purée however stole the show, it was just so creamy and had so much flavour, not what we expected from the humble onion. This too was a winner dish! Mary Street Bakery you have stolen our hearts, and if you keep serving up food and coffee this Delish, we may never get them back! Can’t get enough of Mary Street Bakery? You’ll find it here, here and also here.